The under-fire football tactician was caught off guard by photographers that attended the Albiceleste training session-few days after England faced similar circumstance. While the former Seville and Chile boss was busy with his squad during the session, unknowingly, his tactics for the all-important Group D fixture on Tuesday was being captured by the cameras in the stands. 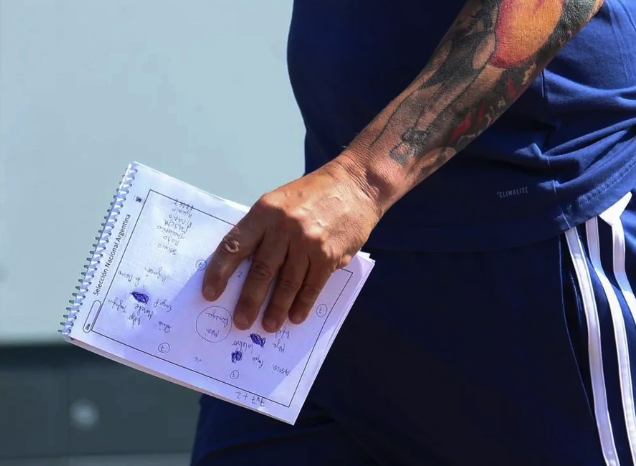 And the Albiceleste manger has now committed a grave error by leaving his tactical notes for photographers to feast on, thus revealing some of his tactical plans for the do-or-die showdown against Nigeria’s Super Eagles in St Petersburg on Tuesday. According to UK Sun report, Sampaoli’s revealed a lot of team’s secret as well as potential combinations that were not supposed to be let out to non-squad members. Interestingly, Argentina’s sports magazine, Ole were the first to reveal the images as the Albiceleste commenced preparations for the must-win game against Nigeria’s Super Eagles. At the last count, the South American side can only boost of a solitary point after two group fixtures at the ongoing football global fiesta in Russia, but can still progress to the knockout rounds of the Mundial. However, to achieve that they must overcome three-time African champions, Nigeria and equally pray that Iceland don’t get a positive result against Croatia’s Blazers who have booked passage to the Last 16 round with six points from two games. At the moment, the 58-year-old manager is under enormous pressure to quit the Albiceleste job after Croatia’s 3-0 pumping on Thursday. 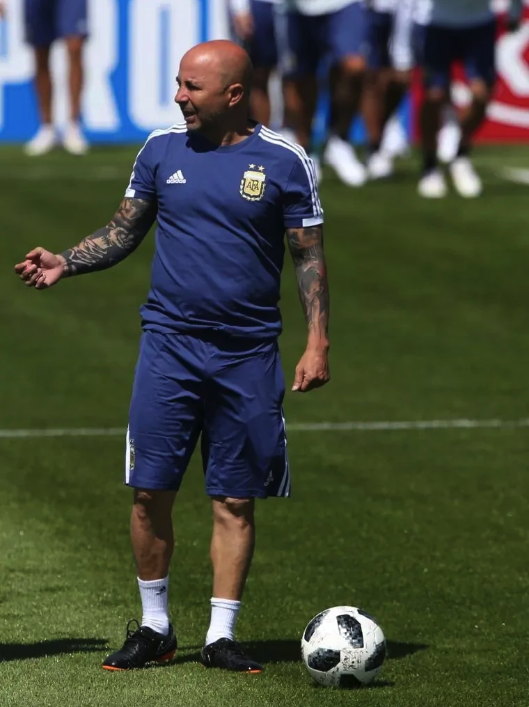 In addition, there are reports coming out of Argentina camp that squad members are not unified, no thanks to Sampaoli’s tactics in previous match which has divided the players amongst themselves at the ongoing Mundial. According to the report, it was a nightmare for the former Argentina captain and 1986 World Cup winner, who excelled as a player, but could not hold back the tears after the Albiceleste were taught some football lessons by their European opponents. 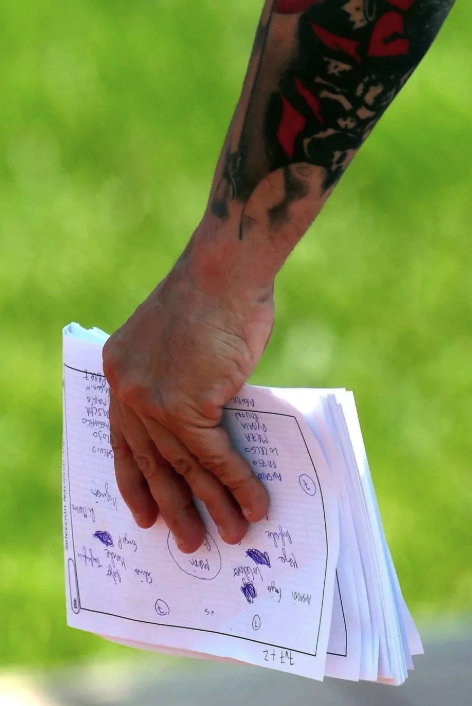 0 Response to "Check Out What Argentina’s Coach Mistakenly Revealed Before Tuesday’s Cracker Against Nigeria (Photos)"